Google Calendar’s SMS Notifications Are Gone. Here’s an Easy Solution. Earlier this fall, Google announced that beginning in January 2019, it will no longer support SMS notifications for events on your Google Calendar. Instead, it will only offer in-app notifications for upcoming events. For the many people who relied on text message notifications to keep them on time and on track, this is a serious downer. But with a little integration magic, you don’t have to miss out on these handy text message reminders. Workato users can easily create a simple alternative to Google’s native SMS notifications. With our Community Recipes and 300+ out-of-box connectors, you can easily connect Google Calendar with a wide range of apps. You can even orchestrate complex, multi-step workflows—no manual work or coding required! Here’s how to set it up in just a few minutes. At Workato, we call our integrations and automations “recipes,” because they’re plain English lists of instructions that get work done between your apps. Because we want our platform to be accessible to technical wizards and everyday humans alike, we maintain a Community Recipe Repository of over 600,000 pre-made recipes. These recipes are public and can be copied, tweaked, and reused as you see fit. To set up your own SMS notifications for Calendar events, for example, you can clone this recipe, which will simply notify you whenever a new event is added to your Google Calendar. During the cloning process, you’ll be prompted to modify the recipe to suit your needs. On the most basic level, this involves providing your personal app information—like the Calendar you want to use and the cell phone number you want to receive alerts on. This recipe also uses Twilio, a SaaS app that sends SMS messages, instead of Workato’s SMS feature. It’s a great option for people who already use Twilio for other tasks! Of course, you can always create a recipe from scratch. We designed Workato’s Recipe Builder to make building recipes as straightforward as possible. 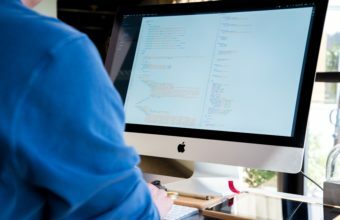 It will guide you through all the steps you need to create a working integration, from defining the business logic to connecting the right apps. It also features intelligent suggestions as you create your recipe, so you can seamlessly implement best practices with just the click of a button! Another popular version of this recipe uses Slack, a popular workstream collaboration app, to send the notifications instead of SMS. For many people, this is ideal because they spend most of their day in Slack. It also means that the notifications can be actionable. With buttons and drop-down menus, you can edit or respond to Google Calendar events without switching apps, or create new events directly from Slack. You can even use a Workato recipe to automatically create a dedicated channel for a new event! Of course, receiving text notifications isn’t the only way you can use Workato with Google Calendar! Because Workato can connect to 300+ enterprise apps out-of-the-box (and countless more using our custom HTTP connector), you can use it to orchestrate workflows that link Google Calendar with many other programs. 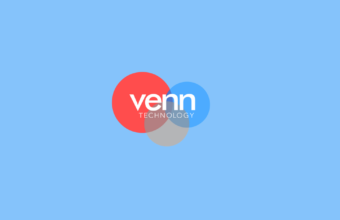 One of our consulting partners, Venn Technology, uses the Workato platform for a powerful sales workflow. With Workbot, a chatbot Workato created to allow users to do work in other apps directly from Slack, Venn Tech employees can seamlessly log crucial information in Salesforce with minimal effort.